Being late on your student loan payments is a quick rode to financial ruin unless you start taking action immediately. You can turn it all around by setting up a plan to get your financial house back in order. In this article, we’ll lay out a plan to help you right your financial ship and get your student loan payments back on track. A 2013 study by The Institute for College Access & Success found that across all colleges, 14.7% of borrowers defaulted within the three years of entering repayment. Being behind on your student loans can have a dramatic, negative effect on your personal credit. The more behind you are, the worse it gets. One of the first dominos to fall is your all-important credit score. For every 30 days that you are late on payments, loan services will report it to credit bureaus. This will cause your credit score to continue falling. As your credit score declines, so to does your opportunities for new credit, a car loan, even getting approval to rent an apartment. As you can see, it’s a vicious cycle that you want to avoid at all cost. It’s important to note that there is a difference between being delinquent on loans and defaulting. Delinquent means you’ve been late for at least one payment. Depending on the loan servicer and whether they are government or private, the first delinquent payment will be reported to credit bureaus after 45 to 90 days. Then late payments are reported every 30 days. A default is when you have been late for 270 days. Your finances and credit have already taken a tremendous hit up to that point but things can and do get worse from there. Government loan servicers can garnish up to 15% of your wages. Any tax refunds you might have can be used to pay your loans. 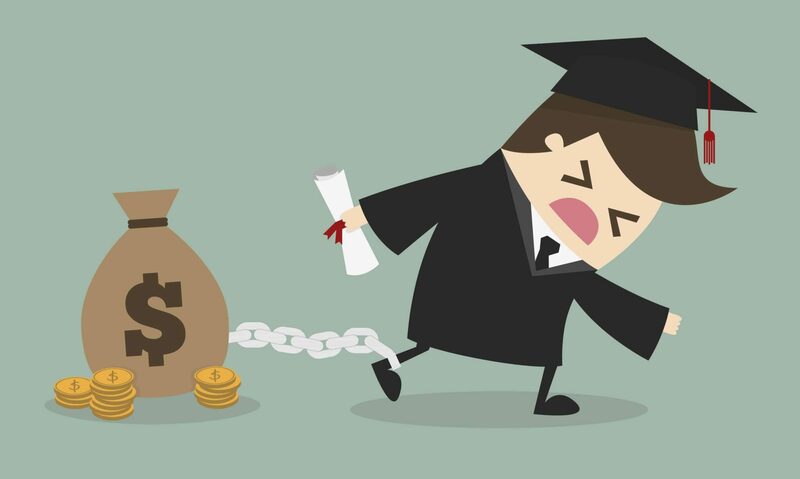 Ok, we’ve pointed out the many reasons you definitely don’t want to be late on your student loans but if you already are, how do you get ahead? The first step is to let your loan servicer know what is going on. Meaning, you are working on a plan to get your loans current. Then ask for options such as a deferment or forbearance, which can reduce or postpone your payments. This will bide you time and make it easier to create a plan that allows you to get ahead. Being behind on student loans can feel overwhelming. You’re aware of the consequences but aren’t exactly sure what to do about them. After all, there are bills to pay and other debt payments to be made. How do you prioritize and juggle everything? The first step is to prioritize your bill payments. Notice we said bills rather than debt payments. Your rent, car note (you need transportation for work), food, and utilities should be paid first. Next is to pay your student loans. Students loans have a far more negative effect than credit card payments. The goal is to bring your student loans current. Now that your bills and debt payments have been prioritized, the next step is to create a budget. In creating a budget, list necessary expenses. This goes back to rent, car note, food, and utilities. Your basic needs. Next, add in your student loan payments including additional amounts needed to bring your loans current. Then add in other debt payments such as credit cards. Now you can see the monthly outflow required. Does your income match? If not, there are a few options to consider. First, what is costing so much that it is above your income? Did you overextend yourself with a car you can’t afford? Maybe you’re spending too much on eating out? Either way, you’ll have to cut back. This might mean selling that nice car and getting something much cheaper but reliable. It might mean eating out far less. It could also mean taking on a second job. The decisions you make here will have long-lasting effects on your financial life for years to come. Once you have a budget that is able to cover your expenses and student loan payments, work it consistently every month and don’t fall off the wagon. Once you start adding more unnecessary expenses, it’s a slippery road back to being delinquent on your loans. If you were able to get a deferment or forbearance, it doesn’t void out the need for a budget. Payments are coming either way and your budget will still need to factor them in. Setting student loan payments on automatic will avoid being late. Ask your loan servicer how to do this. Set it to the minimum amount and make sure you budget has factored that amount in. An advantage to setting up automatic loan payments is that most loan servicers offer a 0.25% discount. While you’re at it, it’s a good idea to set up automatic payments with as many vendors as possible. This includes your car note, rent, utility companies and credit card companies. Automatic payments will help avoid being late in other areas of your financial life. 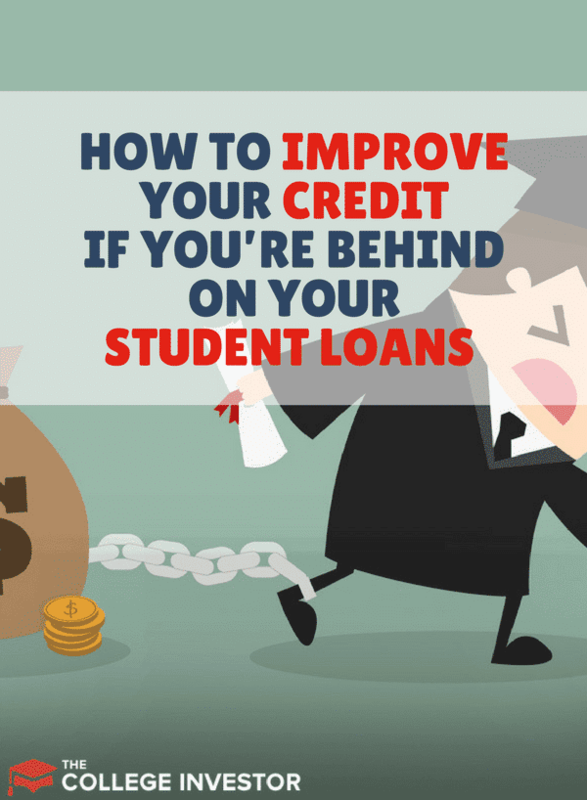 Being behind on students loans is a situation you’ll want to resolve immediately. As we’ve seen in this article, it’s a matter of speaking with your loan servicer and setting up a plan to bring your loans current. Have you don't any of these things to catch back up with your student loan debt payments and improve your credit?